This is an awesome tutorial on how you can use SOLIDWORKS and 3D printing to create prosthetic hands and other limbs. Now this isn’t the A-Z on creating prosthetics, but more how 3D printing in prosthetics is helping to improve and innovate the field. 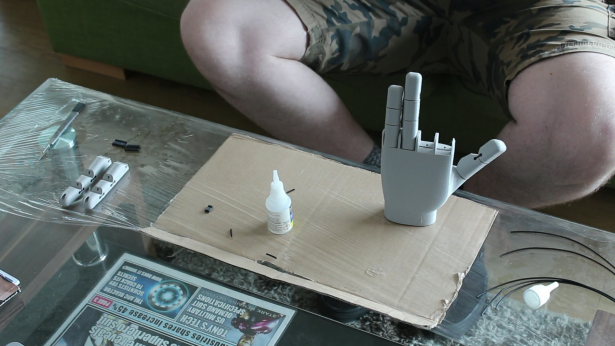 The model we created is made from basic SOLIDWORKS commands and can play a big role in the development of prosthetics. 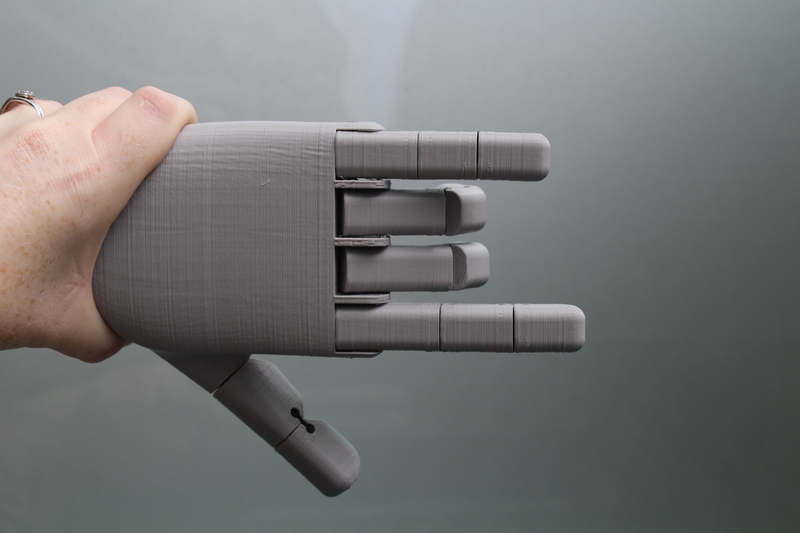 The model was made around one of our own hand shapes but can be developed to fit any need. 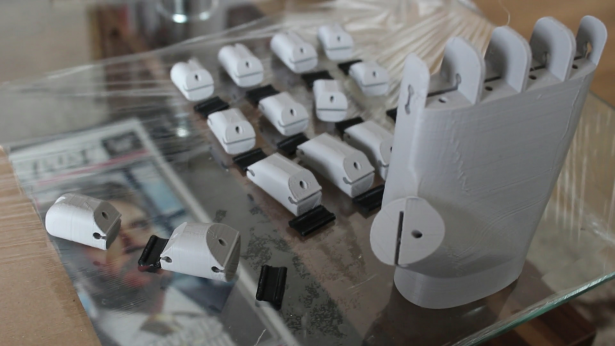 Also, prototyping can be extremely cheap with desktop 3D printers. Before 3D printing, prototyping would be a labor intensive process, especially when you are creating custom fits for individuals. 3D printing can help reduce the high cost of prosthetics as more and more people are now tinkering to help innovate the field, making prototypes and final products more readily available to more people. 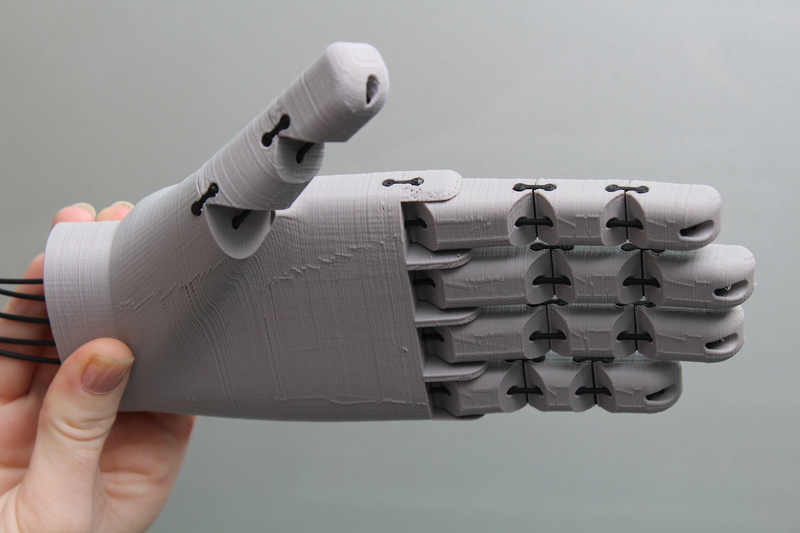 With 3D scanning technology slowly catching up, it is now easier to get the perfect fit; just scan the person’s limb. Then we generate a model to fit around that geometry and in a few hours you have a perfect fit unique to that person. All cases are different, but the formula is the same; once you have the formula, the models, and the fits, it can be updated with little effort. Children who require prosthetics can highly benefit from this in their social environment. As the child grows up, the prosthetic will need to be changed to facilitate the body growing, making it an ongoing cost through childhood. 3D printing can change that. The best example of this is when Robert Downey Jr helped present a child with a prosthetic arm that was programmed and designed by a university student and entirely 3D printed. 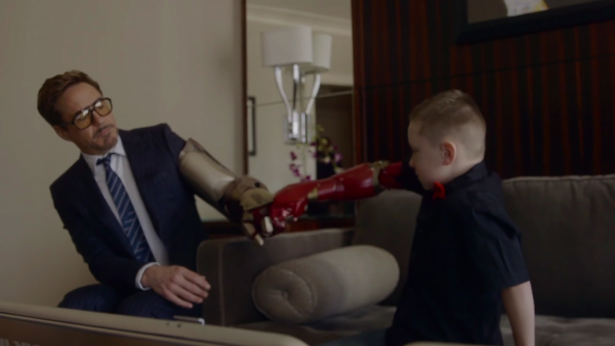 What made it extra special was that it was themed as an Iron Man arm! With lights! 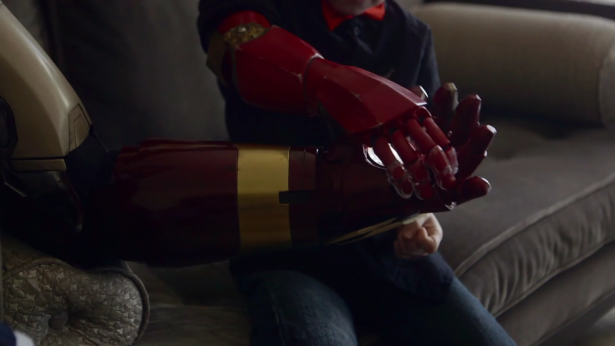 A child growing up with an Iron Man arm is incredible and the choices in designs are endless. With 3D printing becoming increasingly available at home, more and more people are working to make a difference. These are average people who might not have degrees in medicine or engineering, but have the passion to make a difference. 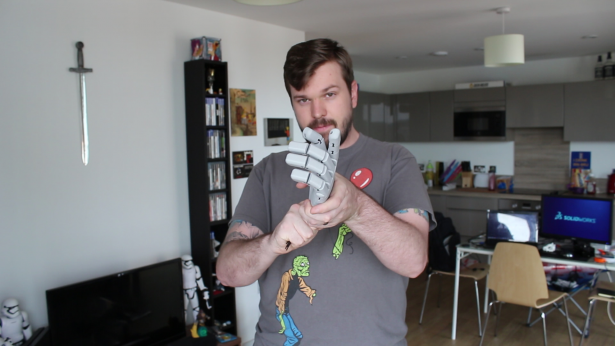 This is how 3D printing got to where it is today, tinkerers who are passionate about technology are embracing the future and shaping it to be their own. Back the model we created. 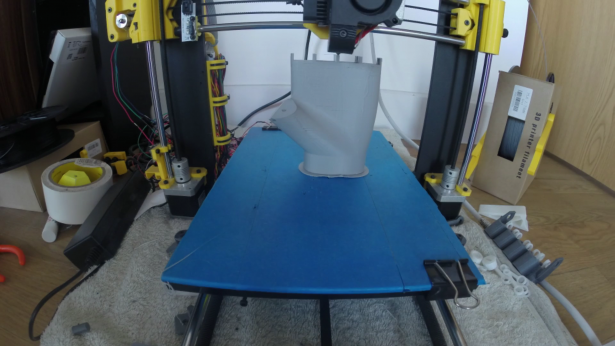 The grey parts are basic PLA plastic, the most commonly used material in 3D printing. The black parts are flexible material, which gives the joints their ability to bend and move. 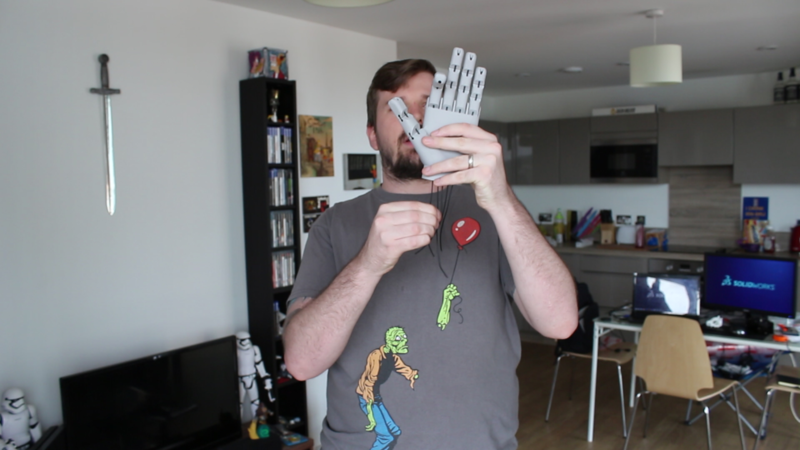 This material is extremely strong and can be a nightmare to print with, but totally worth it when it’s done. The whole model is made from 3D printing material and the pull strings are made from the raw material left over, making this model 100% recyclable. The pull strings are like those seen in puppets, so this is not a new technique; they’re just old tricks being used in different and innovative ways. That’s what this industry is about, innovation! Anyone can use these techniques to develop their own designs. You could add robotics or even have this fit onto someone to make a difference; the possibilities are endless with what you can do with one model. It’s an exciting world we are living in and this is just the start! 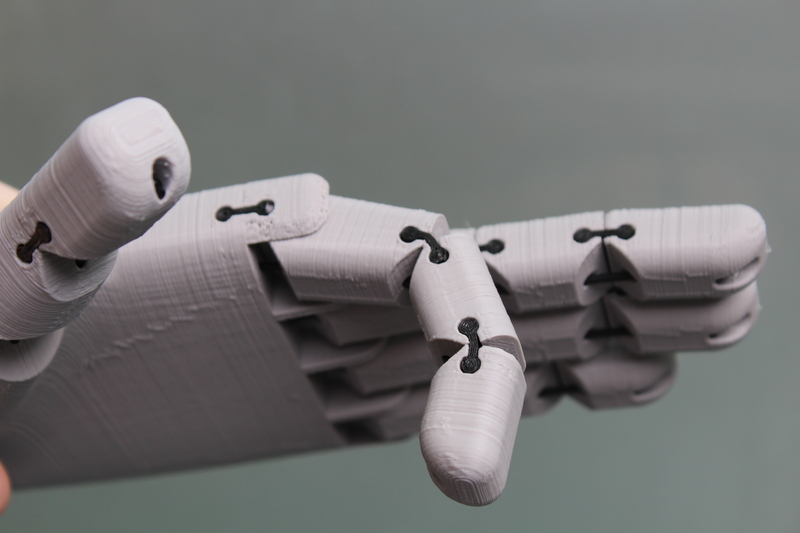 Imagine what will happen in the 3D printing industry in five to ten years; the possibilities are endless! But in the meantime, here is the first line of the formula; let’s see if the rest of the world can solve it with an answer.